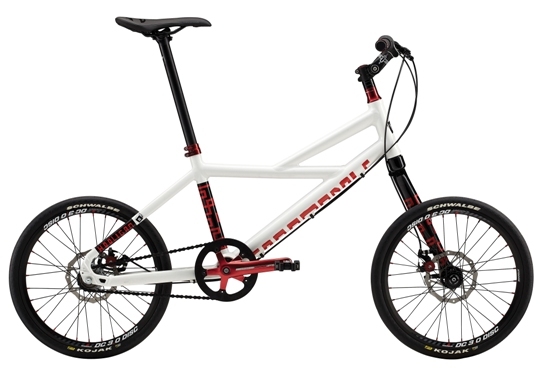 Cannondale has a rad new update of their Hooligan hybrid bike. 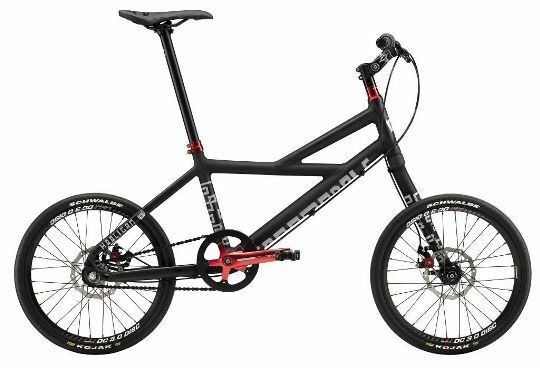 The non folding aluminum frame sits on 20″ wheels and features disc brakes, perfect for near death taxi experiences. We’re just waiting for someone hit some jumps on this thing. Available in black and white at Cannondale dealers now. The white frame after the jump.